K.J. 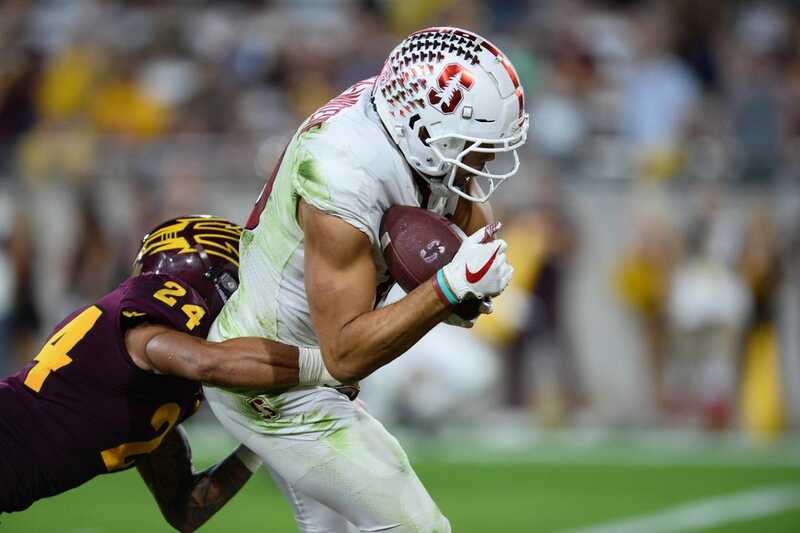 Costello completed 22 of 29 passes for 231 yards and a touchdown, and Stanford held off Arizona State for a 20-13 win on Thursday night in Tempe, Ariz.
JJ Arcega-Whiteside had seven receptions for 91 yards and a touchdown to lead Stanford (5-2, 3-1 Pac 12). Cameron Scarlett added a touchdown on the ground and finished with nine carries for 54 yards. Arizona State quarterback Manny Wilkins completed 26 of 43 passes for 351 yards and an interception. Wilkins also rushed 11 times for 41 yards and a touchdown for the Wildcats (3-4, 1-3). Stanford staved off a last-minute drive by Arizona State to snap a two-game losing streak. The Cardinal have not lost three games in a row since David Shaw took over as head coach in 2011. Arizona State opened the scoring on a 34-yard field goal by Brandon Ruiz in the final minute of the first quarter. Stanford responded with a pair of field goals in the second quarter to take a 6-3 lead into halftime. Jet Toner connected from 21 yards and 31 yards to put the Cardinal ahead. After Ruiz drilled a 24-yarder early in the third quarter to even the score at 6, the Cardinal broke through. Costello found Arcega-Whiteside for a 28-yard touchdown to make it 13-6 with 7:55 remaining in the third quarter. The play marked Arcega-Whiteside's ninth touchdown of the season, which matched his total from 2017. Stanford increased its lead to 20-6 on a 1-yard touchdown run by Scarlett with 2:45 to play in the third quarter. Scarlett punched in his third touchdown of the season and his second in as many weeks. Arizona State pulled within 20-13 with 7:50 left in the fourth quarter. Wilkins scampered out of the pocket and tumbled across the goal line for a 10-yard score. Stanford running back Bryce Love managed only 21 rushing yards on 11 carries. Love, who also caught two passes for 10 yards, has been hampered this season by an ankle injury that forced him to miss last week's game against Utah.